(L) Navin Seeterram, Trade and Business Development Manager, TT Chamber and Deodat Indar, President of the Georgetown Chamber. The business community in Guyana was abuzz over the last two days as a 25-member trade delegation from neighbouring Trinidad & Tobago flocked to the country. 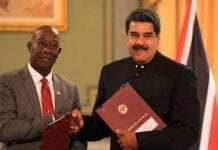 The Trinidadians have been showing a keen interest in getting involved in Guyana’s emerging oil and gas industry and have been lobbying strongly for opportunities, including the chance to refine Guyana’s oil. 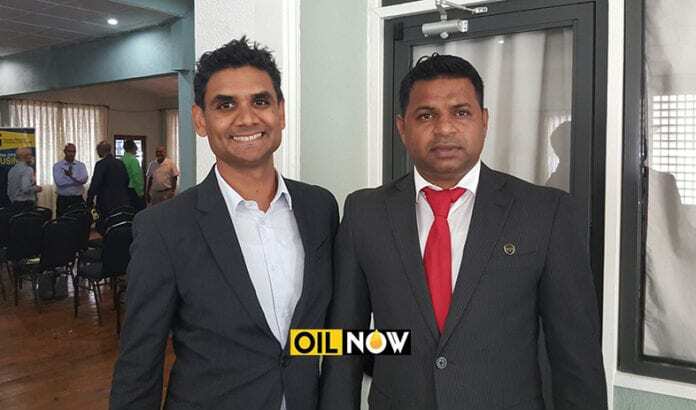 While no final decision has yet been made by Guyana on an oil refinery, the Trinidadians are already looking at a multitude of other business opportunities. 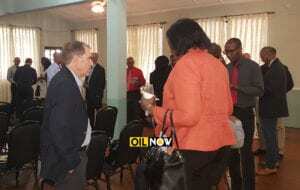 Guyanese and Trinidadian business operators meet at Duke Lodge in Georgetown. Mr. Seeterram, who led the Trinidadian trade mission to Guyana, said there is also a “non-energy sector dynamic” that the Trinidadians believe they can play a role in and efforts will be made to explore opportunities in that regard. The sentiments of Guyanese businesses and some sections of the public have been mixed regarding the growing interest of the Trinidadian business community in the South American country’s emerging oil and gas industry. Some believe a lack of vigilance on the part of Guyana; a new-comer to the world of oil and gas, could see the aptly-skilled Trinidadians snapping up job and business opportunities in the sector, leaving Guyanese behind. However, on the other hand, there is the realization among many in the country that for Guyanese to acquire the necessary skills and knowledge, partnering with companies and groups from oil and gas producing countries, such as Trinidad and Tobago, must be embraced. 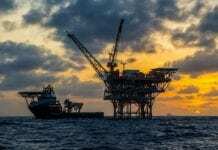 Trinidad and Tobago has been involved in the petroleum sector for over one hundred years, undertaking considerable oil and gas exploration activity on land and in shallow water.